Email: valuegaragedoors.social (at) gmail.com . Mississauga Garage Door is the leading garage door service provider in Mississauga. We are committed to offer affordable door repairs to the residents of Ontario. 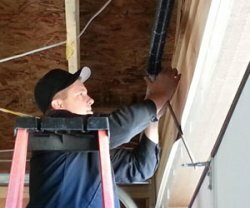 Our Services include Repair, Door Parts, Cable replacement, spring, opener maintenance, commercial, residential Garage Doors and others more. Our door repair products are very high quality and branded company like Liftmaster, Genie, Craftsman, Wayne Dalton, Amarr and etc. We also give 24/7 hour emergency doors repair services with affordable prices. Feel Free to contact Value Garage Doors at 647-360-9505 or know other repair related information.